Well. Actually, I'm rather Canard Enchaîné than Charlie Hebdo (I only purchased once a copy of the latter, about thirty years ago), but that doesn't matter. They assassinated our Grand Duduche. They murdered journalists, satirists, officers of the Republic in charge of their protection. 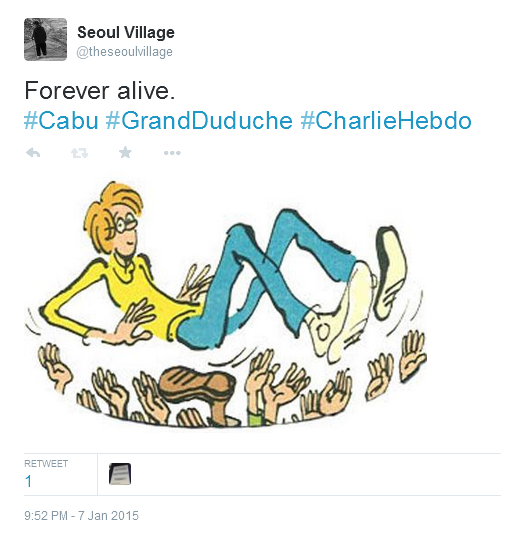 But you can't kill Charlie Hebdo (for that matter, that rag is perfectly able to commit "Hara Kiri" by itself). And by shooting on anticlerical anarchists, they shot on the Republic and on Islam. And post-1/7 France is not post-9/11 USA: unlike George W. Bush, François Hollande won't start a pseudo-war on terror that actually fueled worldwide terror and fundamentalism. "Ces connards ont réussi... ... à nous réunir"
Below, a list of blogules spilled over the year 2014.
. "Happy New Year 2016"
. "Imperial Japan v. Japan"
. "If it ain't fixed, break it again"
. "Exclusive Transcripts From Clinton Presidential Records"
. "Thank you, Bibi, for shooting yourself in the foot"
. "ISIS the end of Iraq?"
. 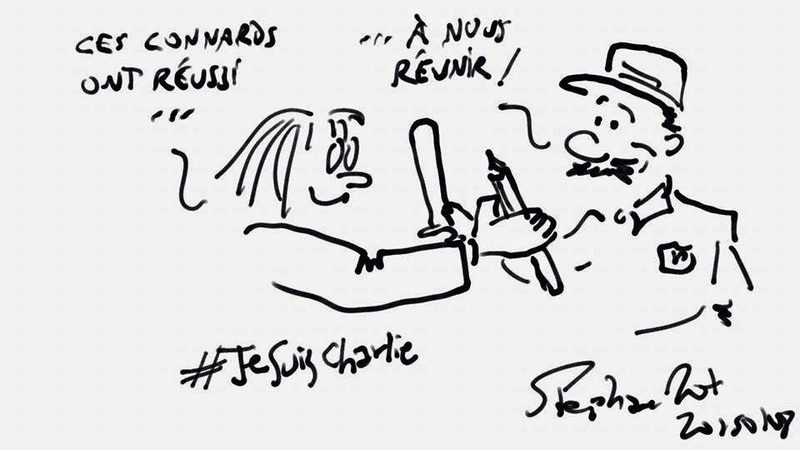 "Francois Hollande vs Extreme Right? Been There, Done Nothing"
. "On Obama's visit to Korea - in Asia Pacific Bulletin"
. "The First (Nation) Captain America"
. "Don't skip a beat"
. "A Bridge To You Know Where"